What is the Post Movie Effect? Where can I download the PostMovie effect? How do I use Beamman’s PostMovie effect? 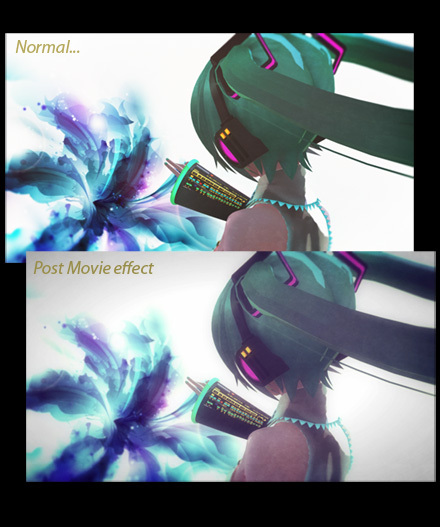 Okay… so I hope its no secret that an amazing new effect has surfaced on Beamman’s Effects page site it is called PostMovie and it has the power to transform a normal animation into a masterpiece! The effect changes the look of your animation from “something digital” to the look of a movie “shot on film”… a wonderful, almost emotional transformation. NOTE: You must rename the .x and their associated .fx files with English names. As you can see, I named mine 1, 2, and 3. 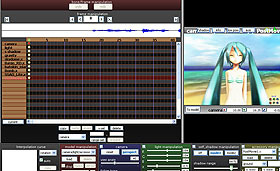 Now you can load the effect through the Accessory Manipulation Panel like any other effect. You can turn it ON and OFF by checking or unchecking the Display checkbox. This seems to be a Beta release… it easily runs on many systems and yet seems cranky on others. Those users encountering problems may have a graphics card issue or maybe even a DirectX issue. … and a Controller? 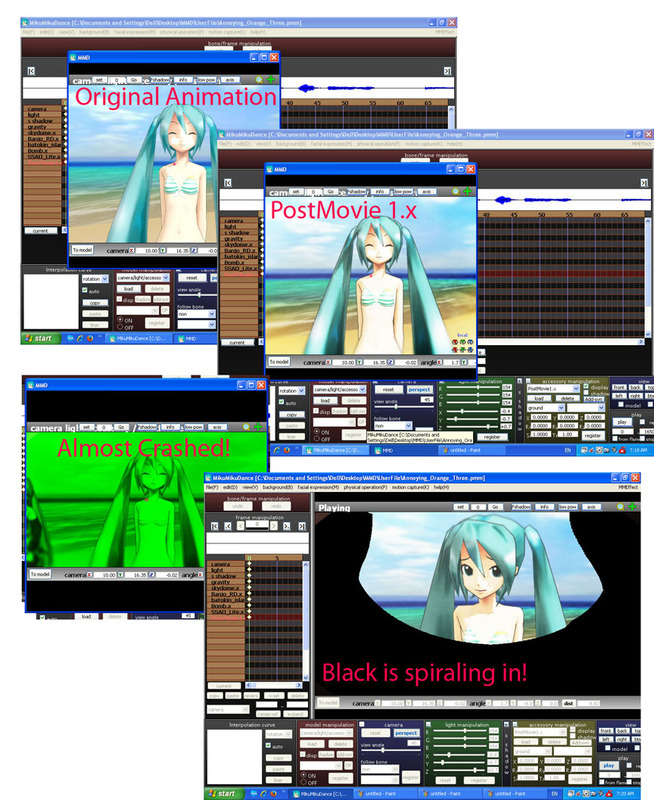 … I have not used the included .pmx model that looks to be a controller… giving variables to the Facial sliders. You will want to translate those sliders into English as you decipher the possibilities of the Controller. A black screen will envelop your stage, your entire scene, if the effect is not working properly. Side Note: When rendering or making a picture render, the effect will crash afterwards. In order to rectify this you must delete and re-add the effect, once more… and use in fullscreen only, not on half screen or snap screen. I saw some crazy-looking things as I tried to use this effect… and it has turned out, for me, that computer power/graphics card issues have been my problems. 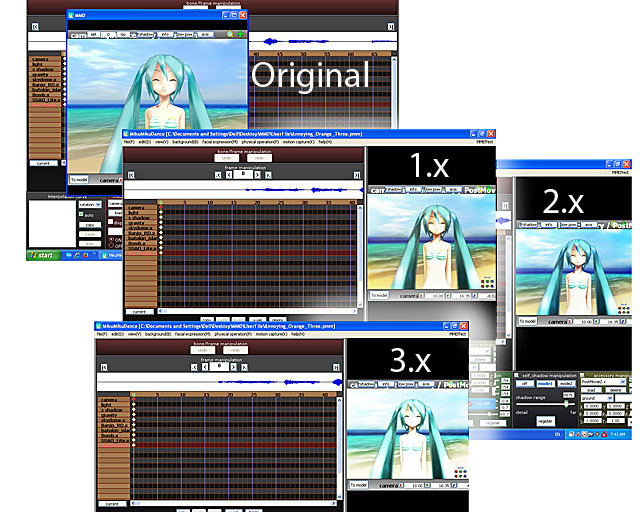 If I close all other programs and run only MMD… and if I make the Stage View small… the effect will work for me on my XP system. CLICK the picture to see a large view. I found that, even with a small view, the effect would often give me the black error screen. I find I can FORCE the effect to work by dragging the view to be as large as possible (still looks black) and then quickly dragging the view to a small size, causing the image to suddenly have to recalculate to show the smaller view… and the effect to work! 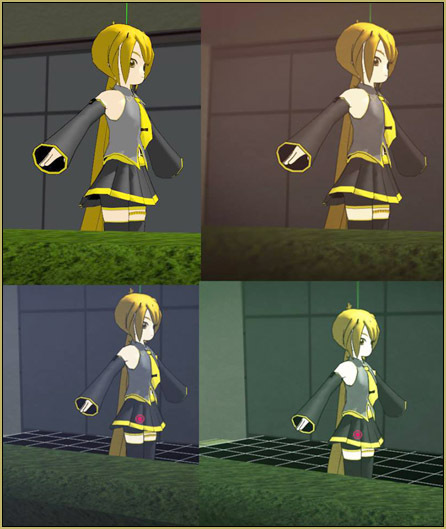 … Once the effect was working, I can Render to AVI and the effect works perfectly in the resulting video. … Awesome! Let us know YOUR experiences… leave a comment! Hi, every time i use the post movie it shows up as a white leek instead of making the effect happen? help? Rename all files with Japanese characters in filenames into English. 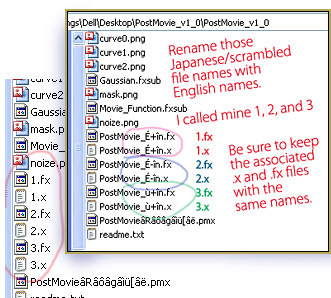 Make sure that .x and .fx pairs of files that have identical first names in Japanese should have them identical after renaming as well. Then edit all three .fx files in Notepad, find the line that looks like “#define CONTROLLER “PostMovie&#%@^$*#.pmx” and replace the filename in it with the new one. never. EVER. mix this motion with any kirakira effect. unless you want a seizure, that is. whenever I try to render a picture with the postmovie effect, they always come out with purple and green glitch spots! how can I render pictures without this happening? I noticed I was using this and black squares started slowly engulfing my screen. Nothing is wrong with my screen, it just happens if I use PostMovie. Other than that, beamman’s blown me away again. It works just fine for me, but I just upgraded to Windows 10. 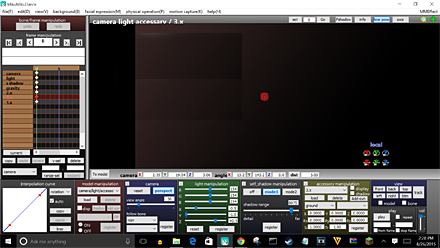 The controller allows you to mess around with some lighting and glare effects. Moving it along the x and y axes gives some pretty neat results, and I don’t know what all of the sliders do but I know that the ones in the 3rd section change the amount of red, blue, and green light on the screen. Also the Si box in the accessories panel changes how bright it is, and the Tr box works about how you would expect and changes the intensity of the effect. I’m working on a video using this effect and it is incredible. I know my experience is probably unique compared to what others have been through with this effect so far, but hopefully this helps someone wanting to get some god stuff out of this effect! 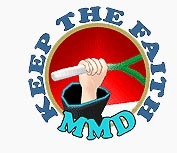 EDITOR’S NOTE: Or see this tutorial by LearnMMD’s xxBodger for a simple method. So….smaller stage view = more efficiency in computing power? I don’t know if that’s true… but it seemed to be so for me “:o).